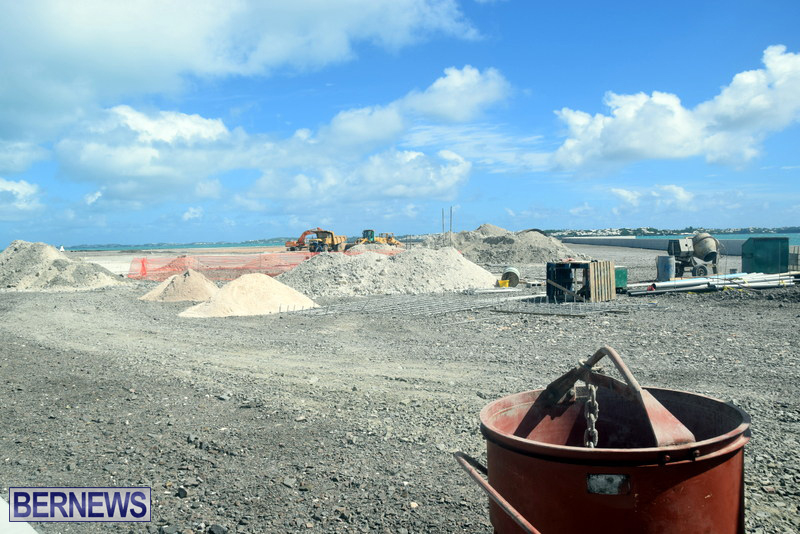 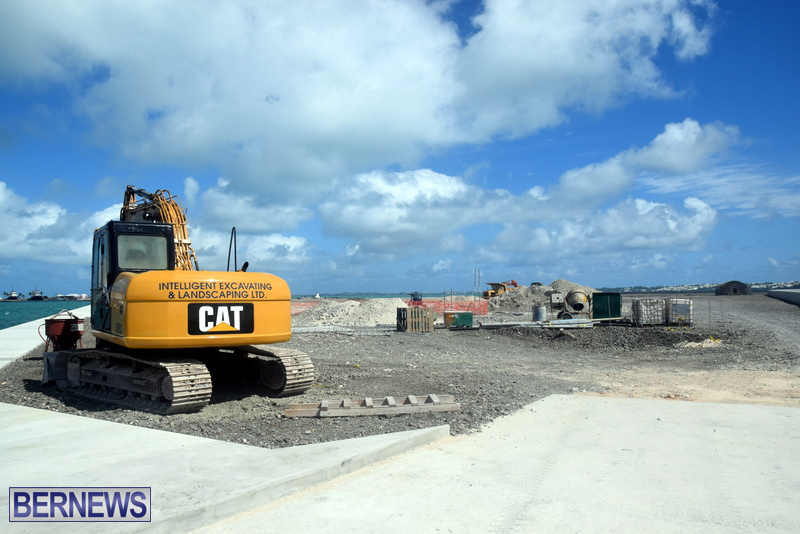 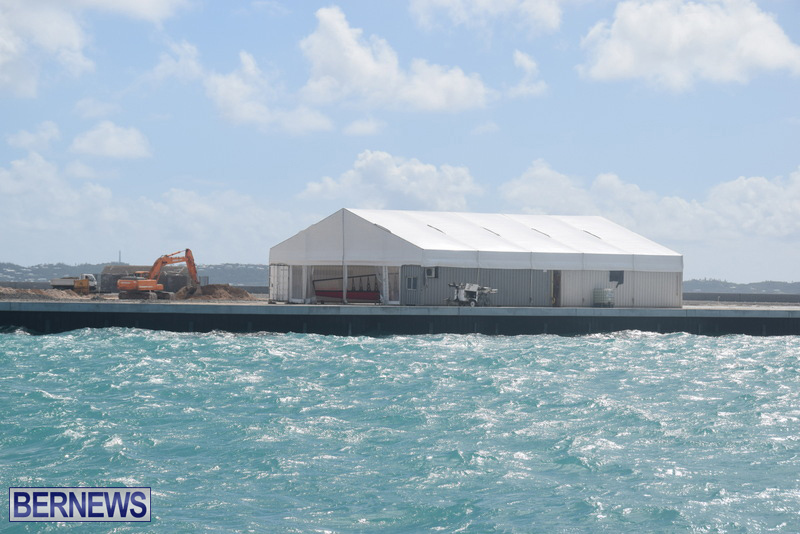 The first phase of Cross Island – the land reclamation project in Dockyard – has been completed ahead of schedule and on budget, marking a “major milestone” in Bermuda’s deliverables for the 35th America’s Cup, the officials said last week. 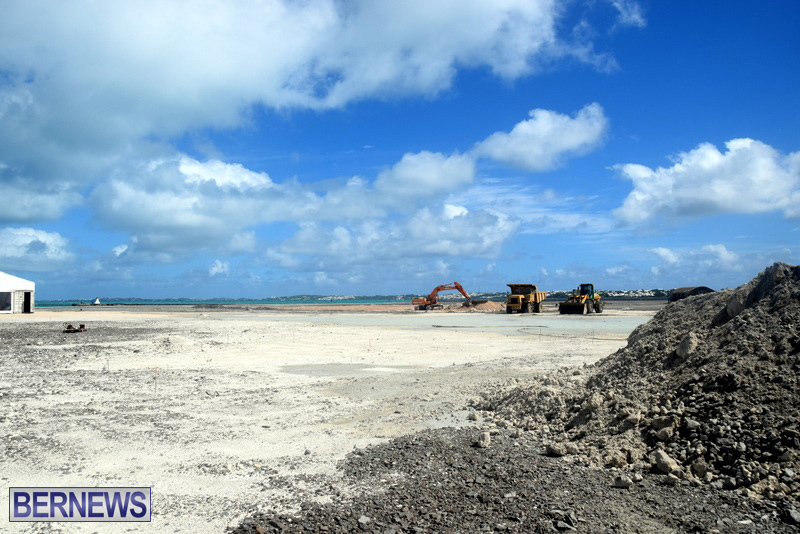 While the infill phase has been completed, the next part of the project involves installing the infrastructure, including electricity, water, sewage and telecommunications before the new nine-acres of land is handed over to the America’s Cup Event Authority, who will create the Event Village for the 35th America’s Cup. 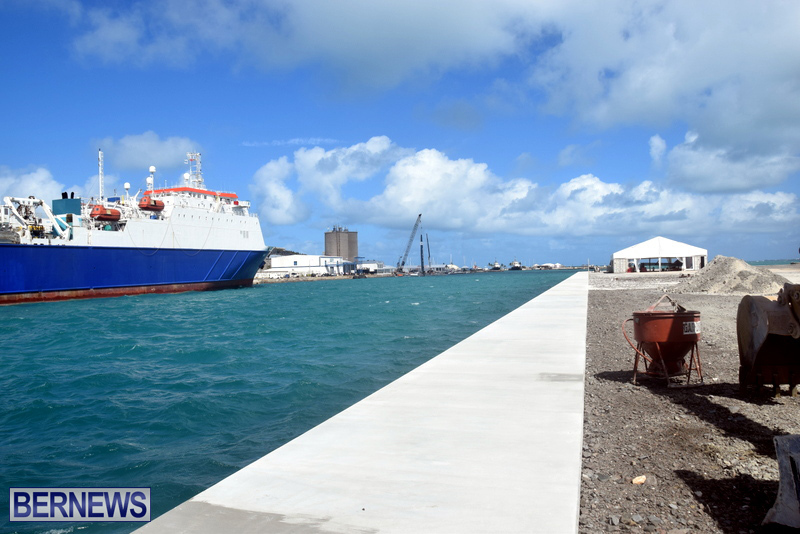 A spokesperson said, “The project began last November when a portion of the South Basin was filled with seven shiploads of granite. 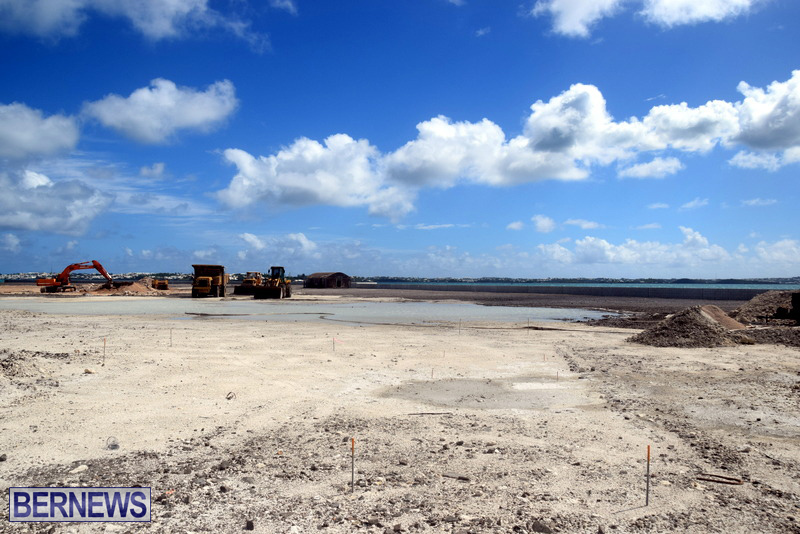 The aggregate came to the island on the MV Balder, a specialised ship that allowed the fill material to be offloaded by conveyer belt into the South Basin. 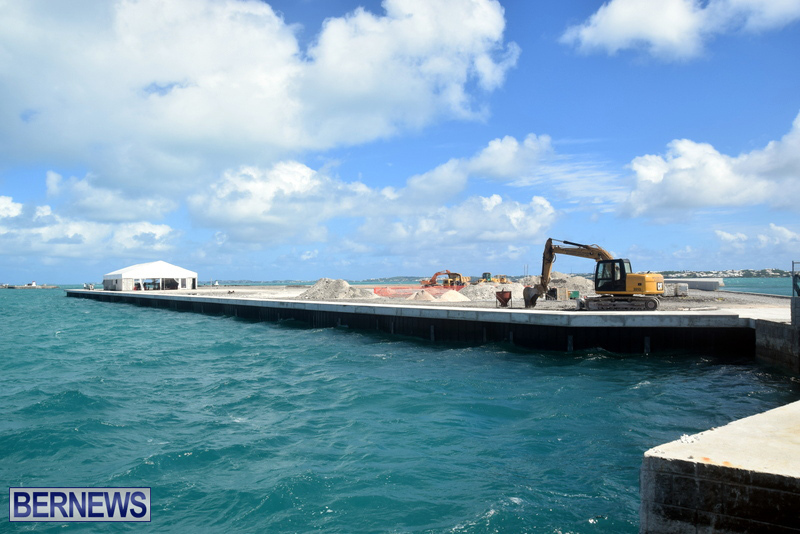 “The total amount was 310,000 cubic yards of aggregate – 165,000 cubic yards of granite from a quarry in New Brunswick and 145,000 cubic yards from last year’s dredging project by Royal Caribbean Cruise Lines [RCCL]. 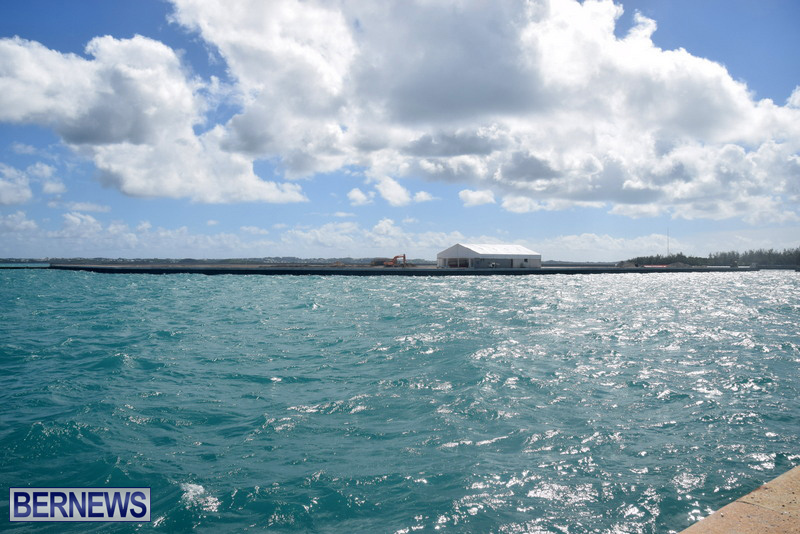 That project was part of multi-year contract between Bermuda Tourism Authority and RCCL to accommodate large RCCL cruise ship visits to Dockyard. 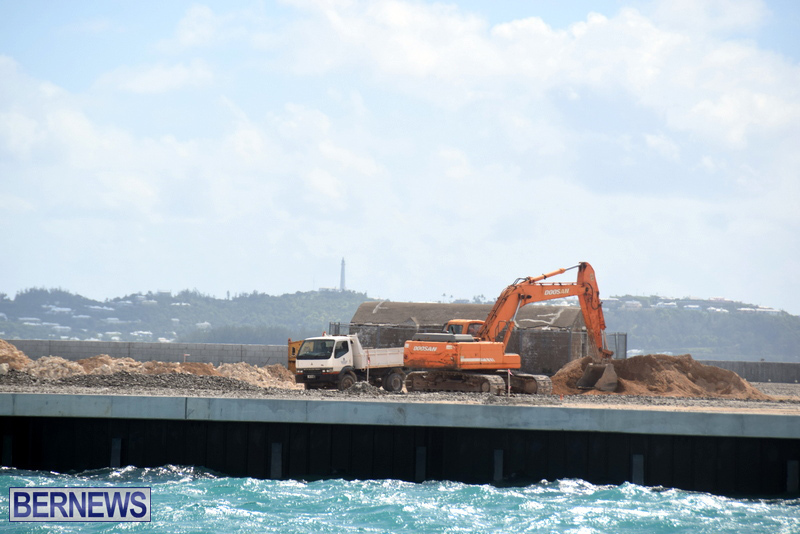 Bermuda just got a little bigger!